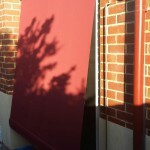 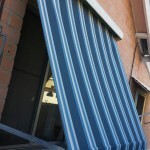 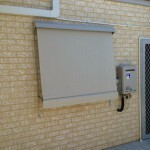 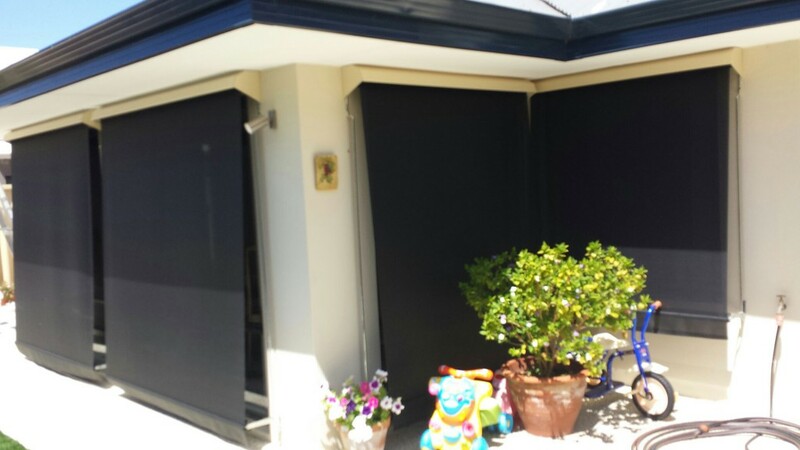 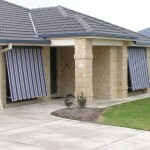 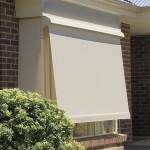 Auto roll up awnings are the most practical solution to keeping the sun and heat off your windows. 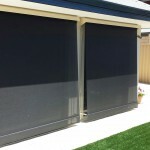 By stopping the sun before it heats the glass and the internal window coverings, the room stays cool. 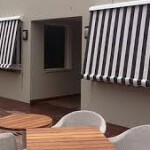 The ideal awning for windows, protecting carpets and curtains from harmful UV rays while reducing heat inside your house. 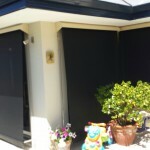 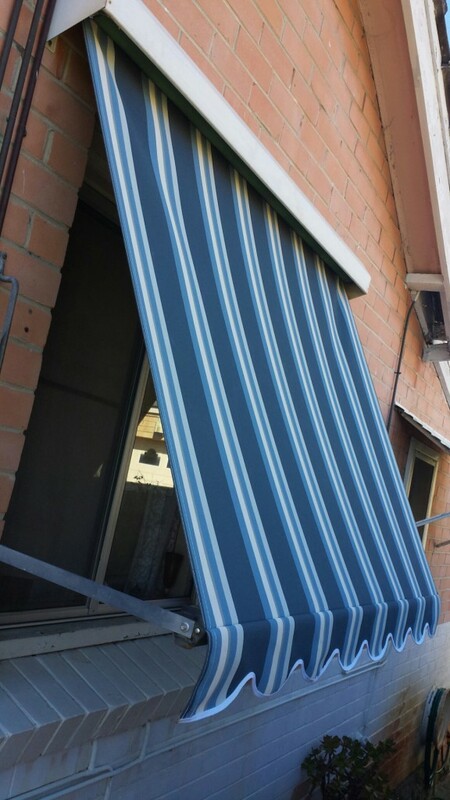 It does not project far from the wall, so if the driveway or path runs close to the window, the awning will not impede access. 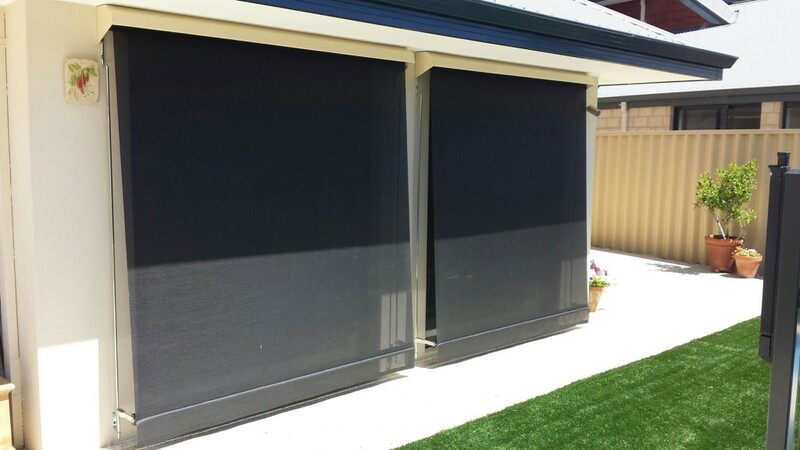 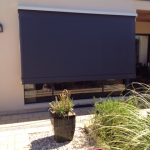 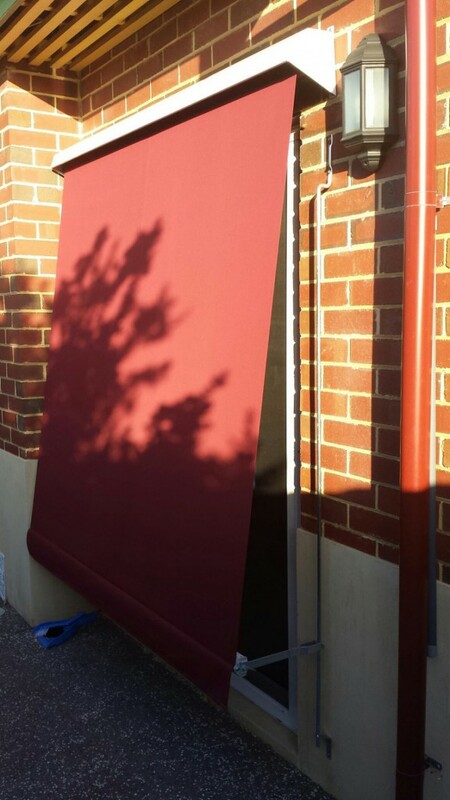 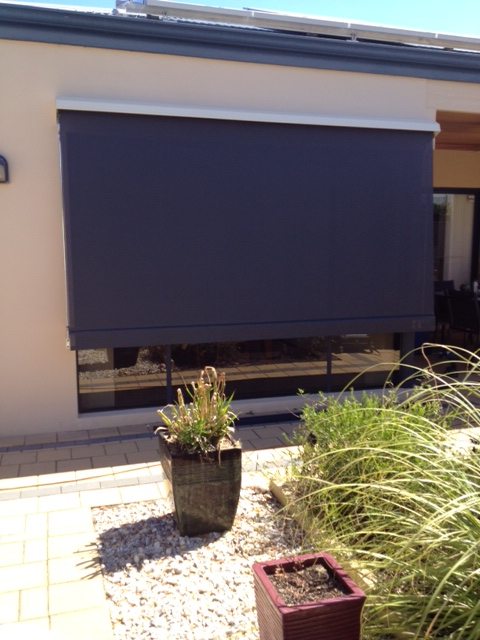 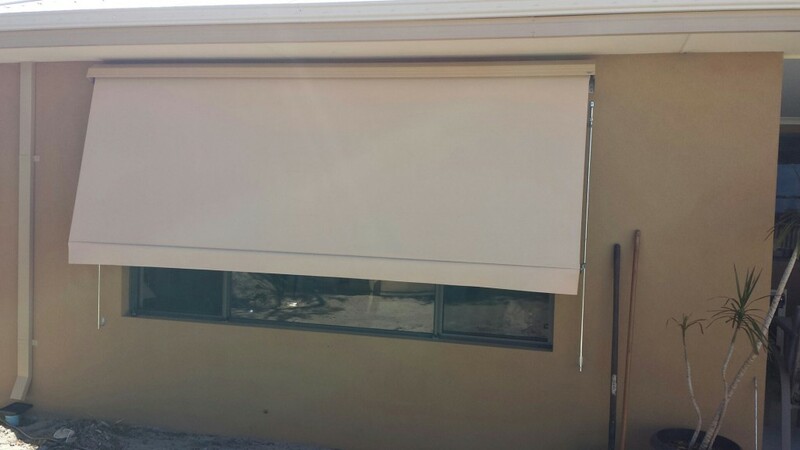 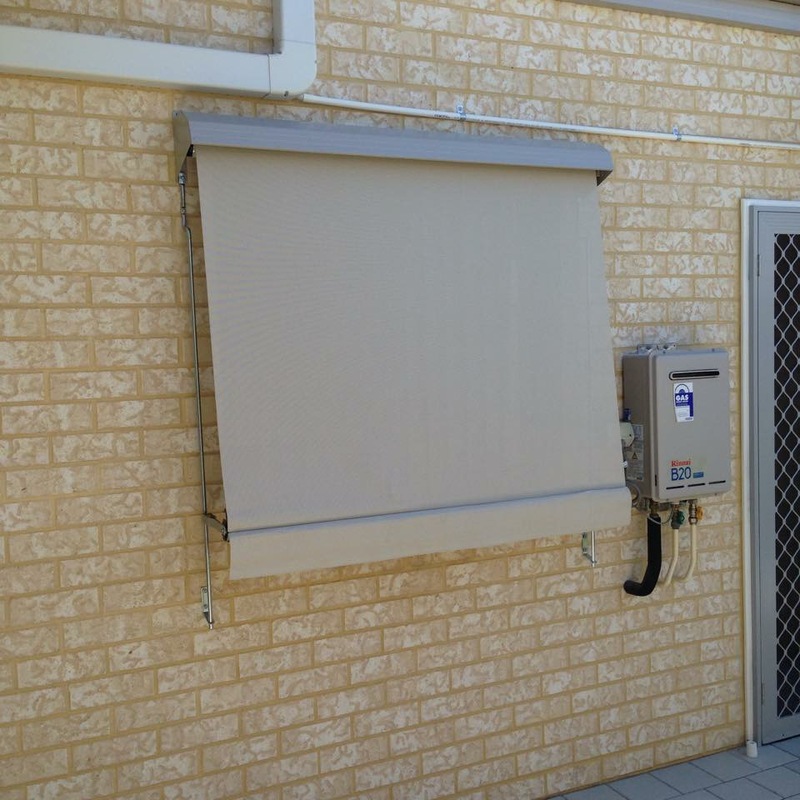 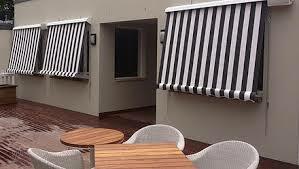 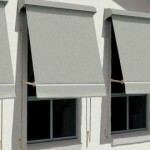 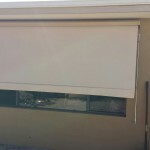 Fully adjustable, they can be rolled up or down to suit your shading requirements and the awning retracts back up into a weather box. 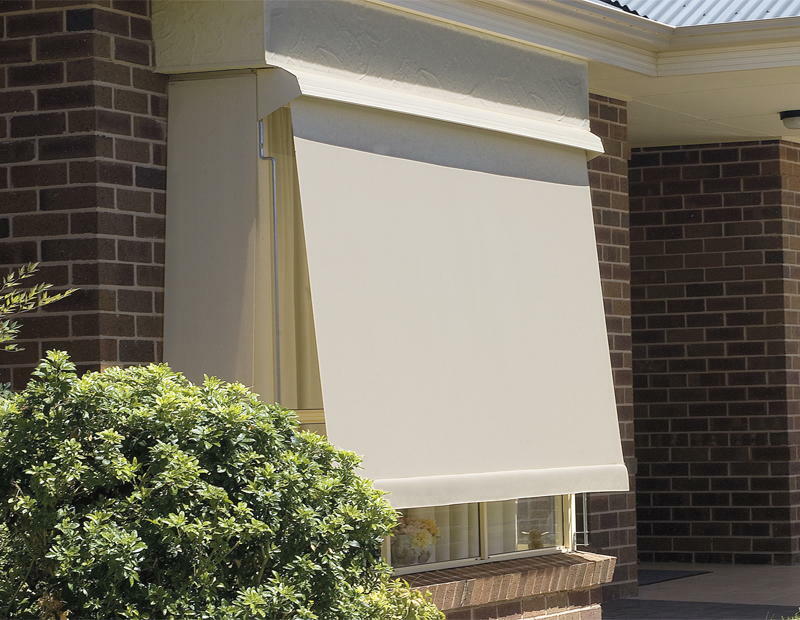 Choose between total blockout with a canvas finish or shade mesh which gives up to 94% shade but still retaining most of your view. 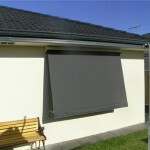 The arms are available in 150, 300 and 450mm projection. 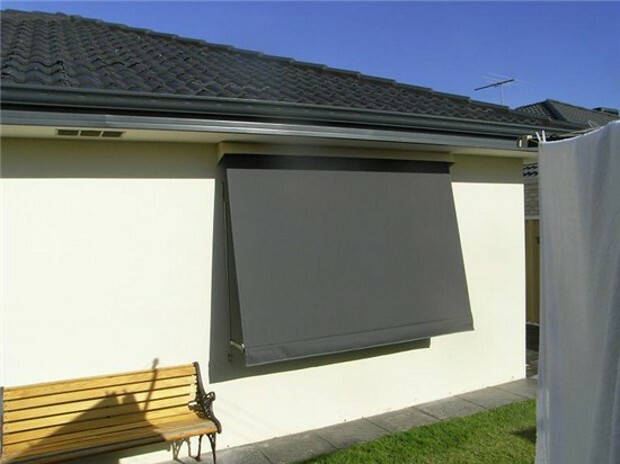 The greater projection will give greater ventilation through an open window. 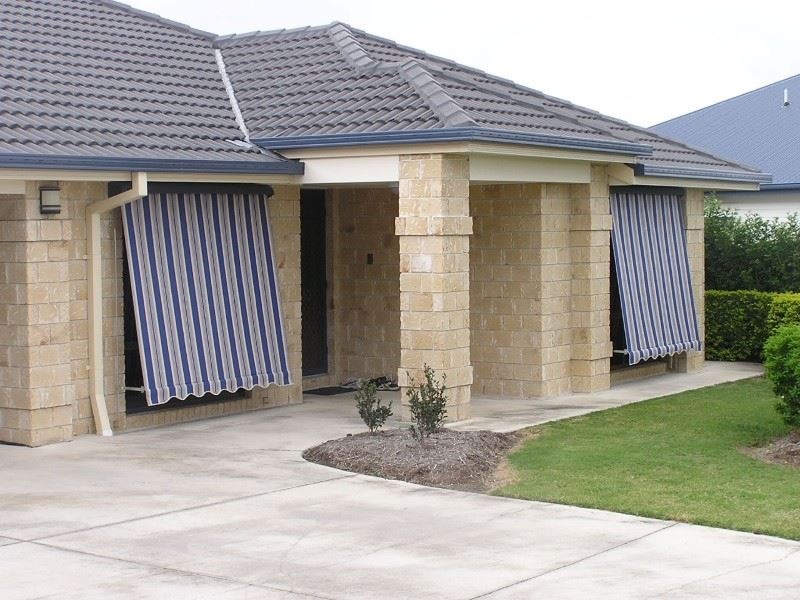 Auto roll up window awnings are practical in function, creating privacy, reduced interior temperatures and harmful UV rays.